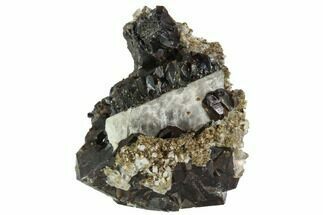 6.5" Smoky Quartz Cluster Encrusted With Garnets - Wow! 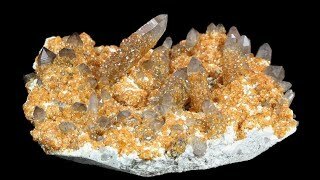 Here is a truly amazing mineral specimen. 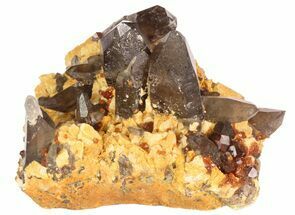 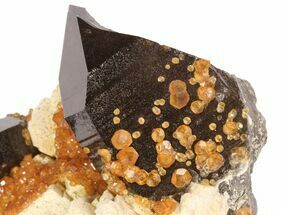 It is a 6.5" wide cluster of smoky quartz crystals, naturally encrusted in brilliant, orange spessartine garnets. 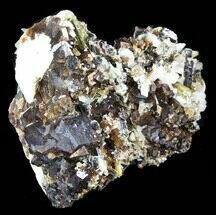 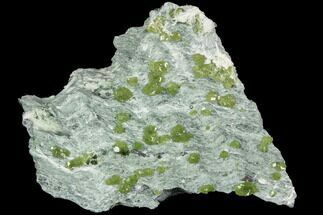 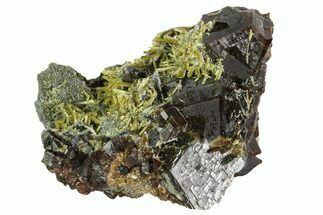 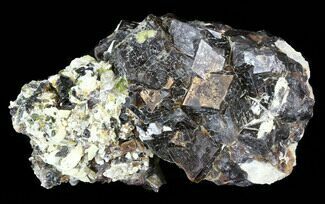 It was collected from the Wushan Mine in the Fujian Province of China. 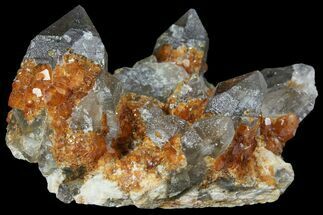 The quartz crystals on this specimen are smoky and fairly translucent, as well as displaying pristine terminations. 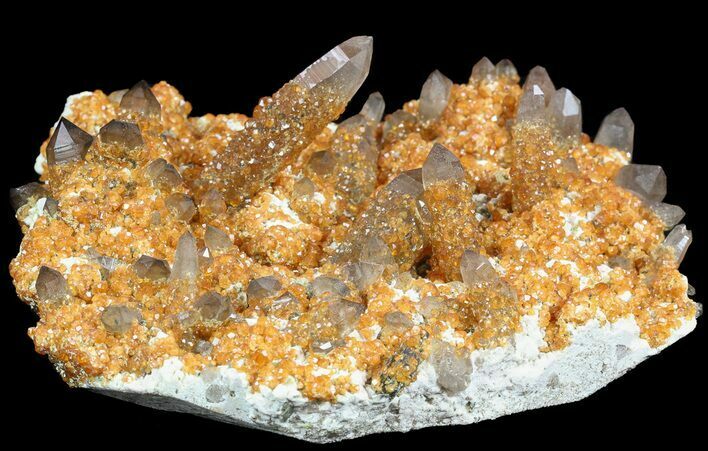 Wushan Mine, Tongbei, Zhangzhou Prefecture, Fujian Province, China. 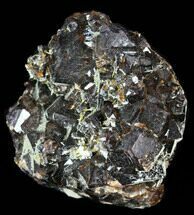 6.5x6.4", Longest point is 2.2"